Once across the Alps. The team with skis from east to west – from Vienna to Nice within 36 days and 1,721 km and 89,644 vertical meters “non-stop”. It will be a new record for the most significant event of ski history in the Alps. A team of 7 athletes started in Vienna to cross the Alps. In the record time of just 36 days, five athletes finally reached Nice. Bernhard Hug (SUI), David Wallmann (AUT), Philipp Reiter (GER) and Janelle and Mark Smiley (USA) covered an overall distance of 1,721 kilometers and 89,644 vertical meters on the ascent and on foot. In total, they were on the move for 375 hours. Seven outstanding alpinists from all over the world were selected to cross the main Alpine ridge from east to west. They are people who have not known each other before and have never mastered an expedition in this composition. But one thing unites them: the love for the mountains and the passion for unusual challenges. 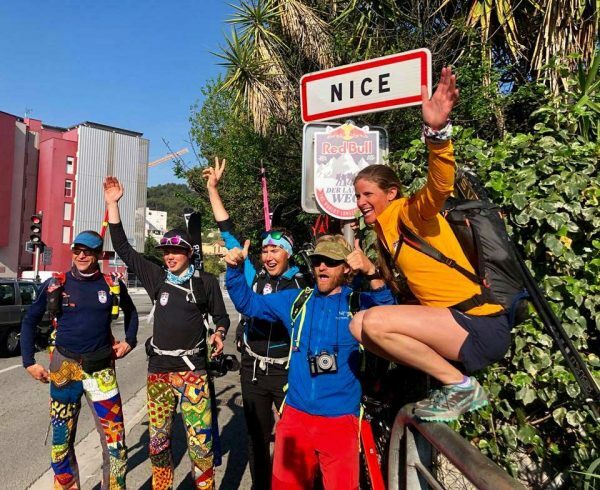 Five athletes have reached the finish in Nice. 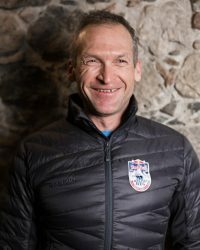 Bernhard Hug (SUI) is 44 years old and celebrated his first sporting successes in mountain running and as a squad member of the Swiss national team in triathlon. He completed u. a. 20 Ironman competitions. Later, the adventure racing fever seized him. Hug was able to finish in several top-ten world championships with several teams. In addition, Hug is considered one of the trail running pioneers of Switzerland. 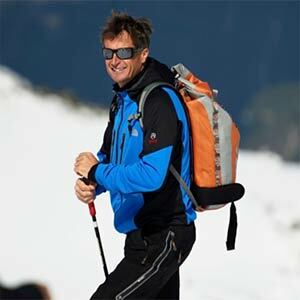 Since 2012, he has been responsible for competitive sports in ski mountaineering at the Swiss Alpine Club. Tamara Lunger, 31, is an Italian ski mountaineer who, after many successes in races in 2009, also began with altitude climbing. In ski mountaineering, she twice won the Italian championship and in 2008 the U-23 World Cup. Her mountaineering projects include K2, Manaslu and Lhotse. Since 2013, Lunger also completed ultratrail racing and won in 2014 with Annemarie Gross the Transalpine Run. The Italian woman gained experience with long ski tours in 2013 while crossing the Karakorum in Pakistan with touring skis. The Spanish Nuria Picas is one of the most successful ultratrail runners in the world. There is hardly an international competition that the 41-year-old has not yet won – although her doctors attested 19 years ago after a climbing accident: “You’ll never be able to walk!” In 2012, she dominated the SkyUltra category in the Skyrunner World Series, 2014 and 2015 the Ultra Trail World Tour. In 2017, she won the Hong Kong 100, Ultra Trail du Mont Blanc and Maratón Transgrancanaria. 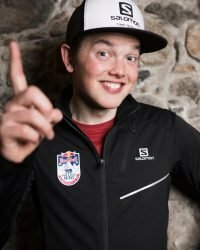 The German Philipp Reiter, born: 20th of July 1991 in Munich and raised in Bad Reichenhall, is trail runner and ski mountaineer. His success story began in 2009 when, in addition to podium finishes in the youth sector, he also participated in the Mountain Running World Championships in Campodolcino (ITA). 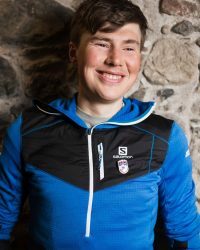 Last year, he finished second at the South Tyrol UltraSkyrace in Bolzano (ITA) and at the German championship in ski mountaineering, the Jennerstier in Berchtesgaden (GER). Reiter is also an accomplished photographer and cameraman. 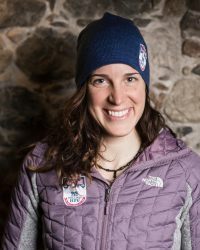 Janelle Smiley from Colorado (USA) is a ski mountaineer and climber. 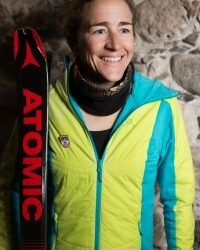 In 2012 and 2014, she won the North American championship in ski mountaineering, and she is also three-time US champion in this discipline. Her hunger for snow adventures has led the 36-year-old to remote peaks around the world. 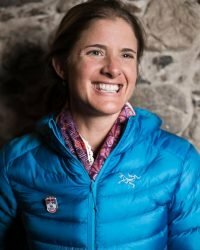 Together with her husband Mark, she runs the company Blue Square Productions in Crested Butte, which offers mountain guiding as well as photography and filming. Mark Smiley from the USA is a professional photographer, filmmaker and mountain guide. The 37-year-old loves spectacular runs and skiing from Mt. St. Elias (5489 m) in Canada, the Huandoy East (6000 m) in Peru and the Denali (6190 m) in Alaska. Together with his wife Janelle he has decided to complete the “Fifty Classic Climbs of North America”. As a guide, Mark Smiley has led seven international expeditions, five Alaskan expeditions and numerous trips in the US. 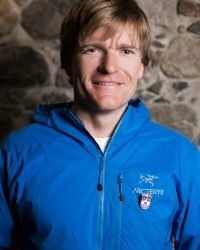 David Wallmann, born in Salzburg in 1991, is a trail runner and ski mountaineer. Among his greatest achievements as a ski mountaineer include the victories in the Reither Kogl Trophy and the Nesslangerlalm climb 2017. The year before, he won the Schönleitentrophy and the Gaissau Hintersee Trophy. As a trail runner he won the titles at the Stubai Basic Trail and the Zugspitz Trailrun Challenge Marathon 2017. David Wallmann is a teacher in Bischofshofen.